While on the road for the past few years, we've met some amazing people and organizations that truly care about people and our community! We've donated our time, music, and hearts to many philanthropic ventures over the past few years, but the one listed below hits close to home for our team. We have two Combat Veterans on our tour and really like to help out our Nation's Veterans in any way we can. 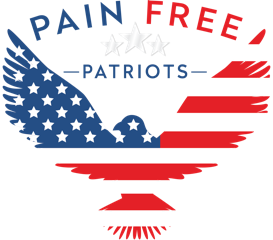 When we met with Pain Free Patriots (PFP), we saw first hand how it has helped veterans with chronic pain. We spoke with a Veteran in the program and heard his story about being in pain after an IED hit his convoy in Afghanistan. PFP helped him mitigate his pain and get off of the painkillers that are so commonly prescribed. In August 2016 we donated a private performance to the Gala 22 event, which raised $6,000 towards the cause. The annual event raised $225,000 in total for the PFP Mission, which will put 45 Veterans through the program to help relieve their chronic pain! ​Check out the recap video below, the organization website, and please consider donating. Click here to download this song on iTunes, all proceeds go to Pain Free Patriots. Gala 22 Recap from Pain Free Patriots on Vimeo.